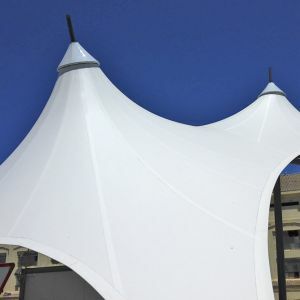 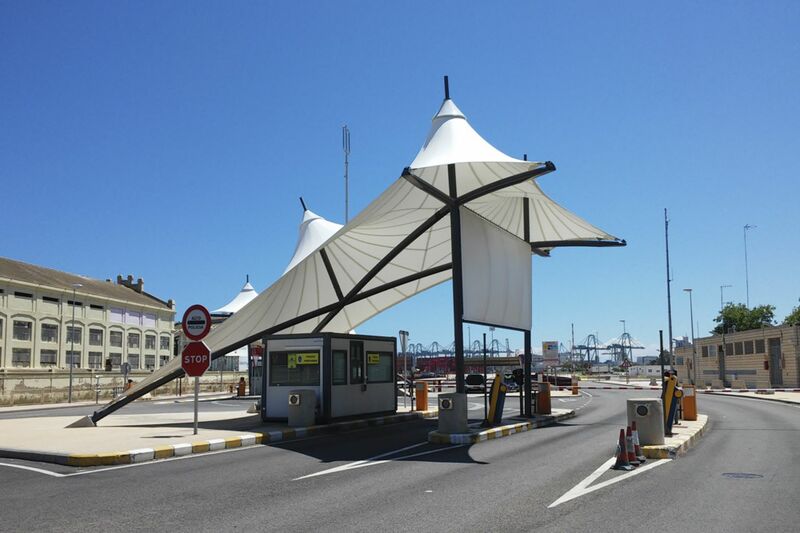 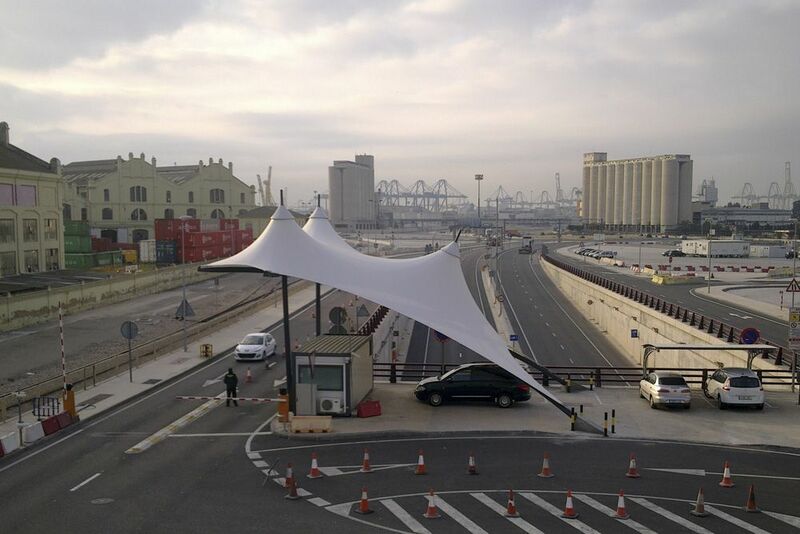 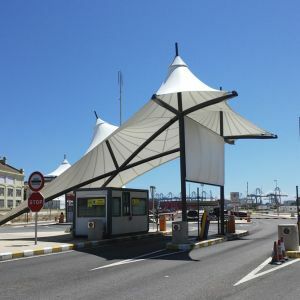 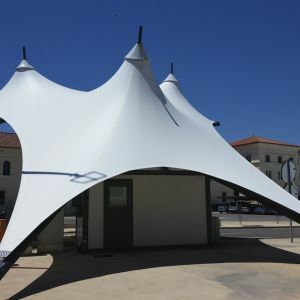 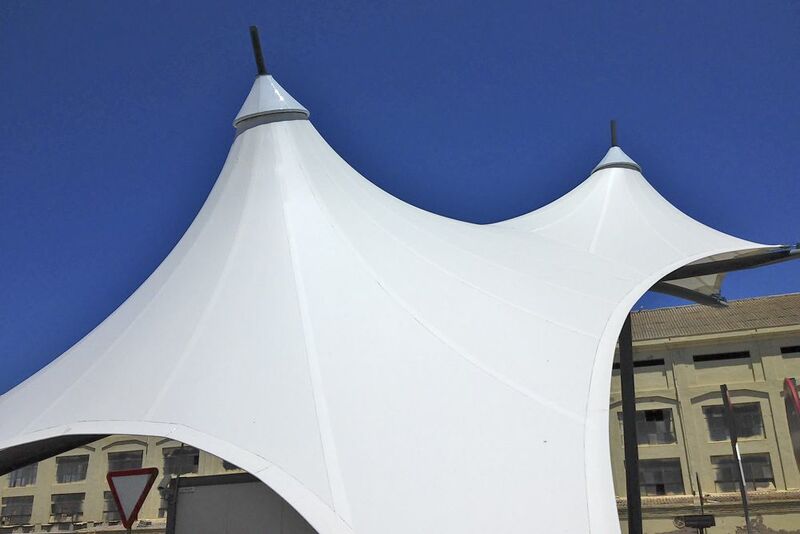 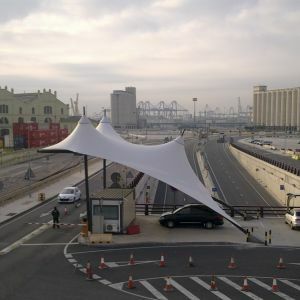 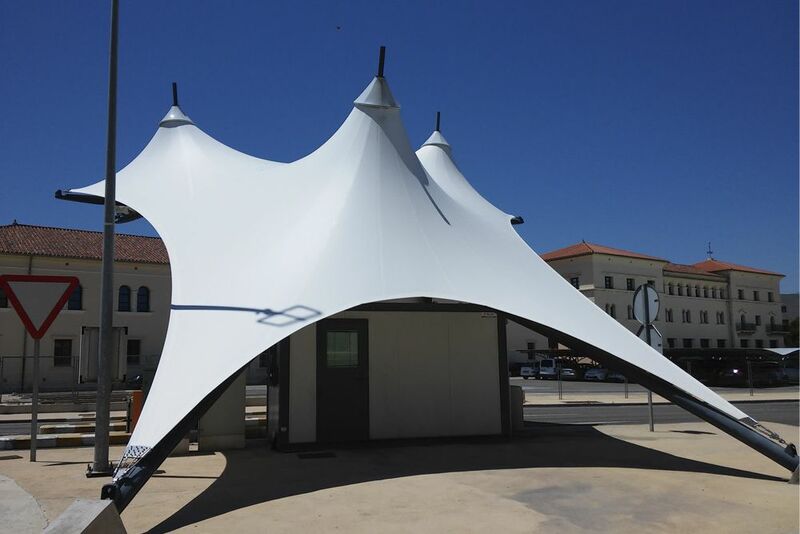 The new tensile structure for the entry and exit zone of the port of Valencia. 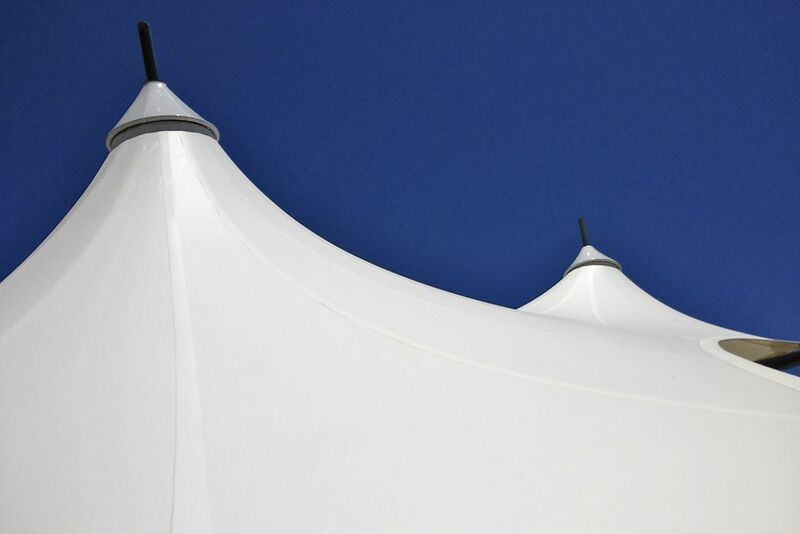 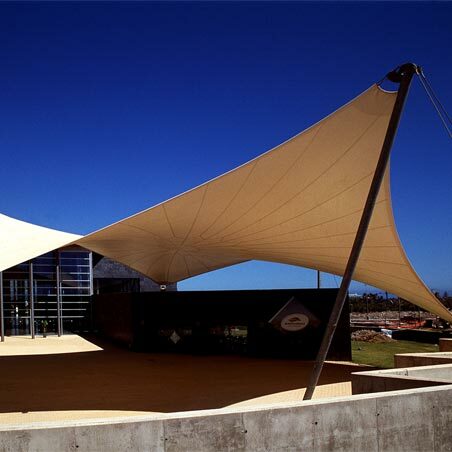 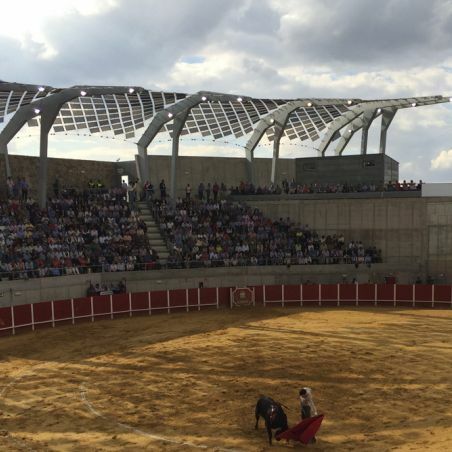 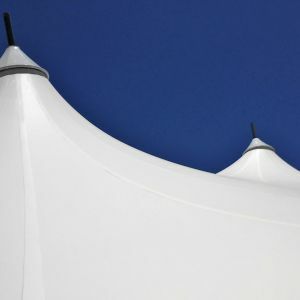 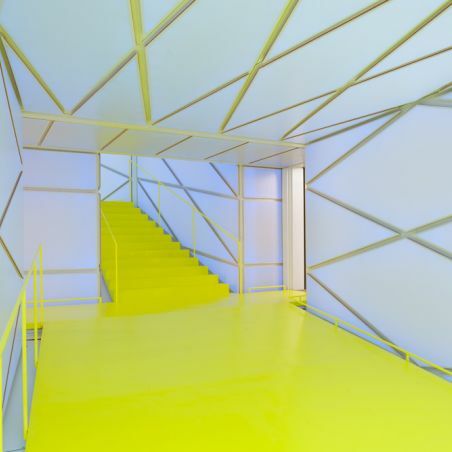 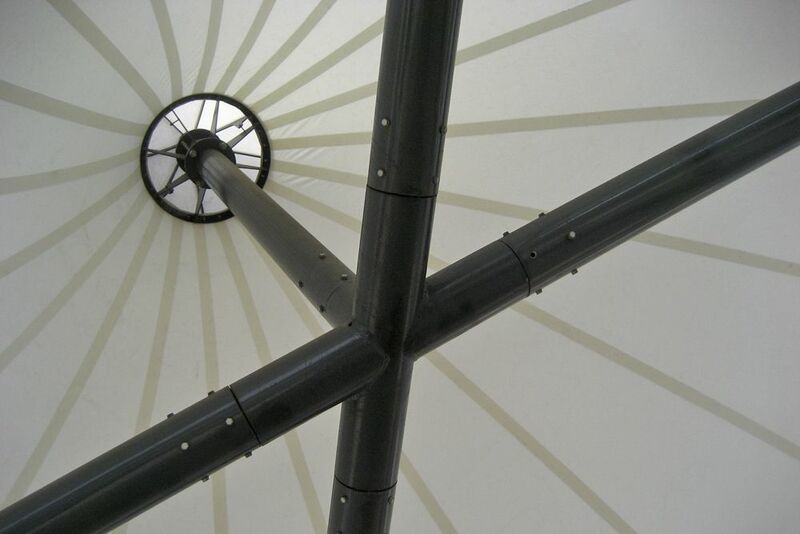 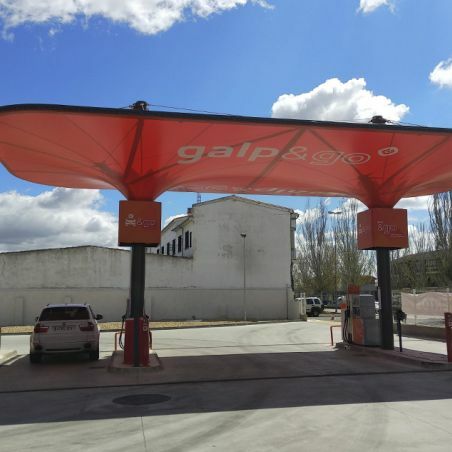 Two structures, with the same geometries, each cover 100 m² on the ground. 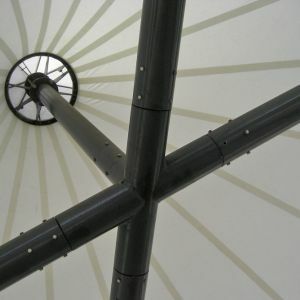 containing three conoids, two of which are supported by the two front pillars, and the third at the intersection of the two arches.